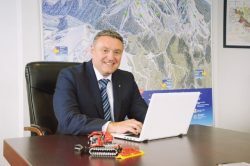 It is a great pleasure and an honour to extend to you a warm invitation to attend the Mountain Resort Summit Central Europe MoReSCE, to be held September 10 – 12, 2018 at the Mona Hotel, Zlatibor, Serbia. The MoReSCE 2018 is jointly organized by the Ministry of Trade, Tourism and Telecommunications, Public Enterprise Ski Resorts of Serbia, the Central European Initiative and the Centre for Tourism Research and Studies. The theme of the MoReSCE 2018: ”Fostering Mountain Resort Development” will underpin the need for collaboration and cooperation of key stakeholders from a wide range of professional backgrounds in mountain resort planning, investments, marketing, branding and communications. Hotel Mona Zlatibor is an exceptional location for the Summit. It is renowned as one of the region’s most outstanding mountain convention destinations, with amazing scenery providing a unique and spectacular setting. The MoReSCE 2018 will be held in the Mona Hotel, Zlatibor, Serbia, right in the heart of the mountain resort with wonderful space for knowledge exchange sessions and presentations, B2B meetings as well as commercial exhibition. The social program highlighting Serbian cuisine, unique culture and arts, combined with the breathtaking natural beauty and pre- and post Summit meetings and tours will underscore the role of Zlatibor as one of the region’s most popular tourist destinations. The MoReSCE 2018 will provide a wonderful forum for you to refresh your knowledge base and explore the innovations in mountain resort development, investment platforms as well as marketing and destination branding. MoReSCE 2018 will strive to offer plenty of networking opportunities, providing you with the opportunity to meet and interact with the key players and industry leaders, destination developers as well as partners and exhibitors. We hope you will join us for a symphony of outstanding education, and take a little extra time to enjoy the spectacular and unique beauty of this region. 10 – 12 September, 2018. The Government of Serbia, Ministry of Trade, Tourism and Telecommunications, the Ski Resorts of Serbia and the Centre for Tourism Research and Studies will organize the 2nd Mountain Resort Summit Central Europe, in Zlatibor, Serbia (10-12 September, 2018). 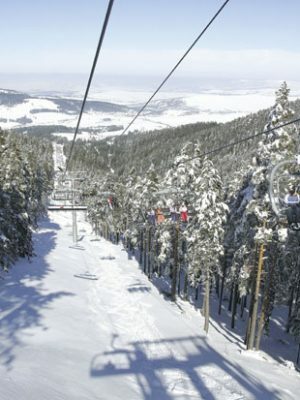 Under the theme “MoReSCE 2018: Fostering Mountain Resort Sustainable Development” and in B2B setting, decision makers from the region, investors and developers accompanied by international experts will discuss sustainable development of mountain resorts throughout Central Europe region, international success stories , PPP platforms as well as investment opportunities followed with innovative marketing and branding solutions. MoReSCE 2018 is adding value to the previous edition of the Mountain Resort Summit Central Europe, ”MoReSCE: Understanding Tools for the Future” held at the Mountain Resort Kopaonik in 2013 that was organized with the purpose to start dialogue among public and private stakeholders in order to built on the foundations to increase competitiveness of mountain resorts in the region. The future of mountain resorts tourism (market trends, challenges, seasonality, sustainability issues: e.g. climate change), infrastructure and transport planning for mountain destinations. Investment policy planning issues, government incentive models and instruments to attract investors and entrepreneurs, PPP models. Innovative practices for marketing use of IT and smart devices, internet marketing for mountain resort development, resort branding.